I spotted these two kids today in front of a shul splashing around in a puddle . It gave me the biggest chuckle that I had to photograph it. Leave it to a child to find one of the few remaining puddles and jump in it. They will never know how much they brightened my day. As a kid in school I had a teacher who always used to point out that things aren't always black and white and that there are often shades of gray. Now that I am no longer a kid I have found this to be true. Now that the idealism of youth has waned I have realized that though there is still right and wrong it is not always so simple to identify one from the other. Humans of New York. The title alone makes me take pause. Having lived in New York for many years I am not always sure that all of the people here are humans . Anyways, Brandon Stanton started taking portraits of random New Yorkers in 2010 and posted them on a blog. Now he has a book of the portraits he has taken. Yesterday I flipped through the book when I was at Urban Outfitters in Manhattan. I had seen some of his photos that some of my friends posted on facebook, but flipping through his book it was almost startling. In a good way. I often see the tough personas in the faces of people in New York. Brandon Stanton captures the vulnerability of the people in his photos. It is almost jarring. It is not the New York captured in 1970's photos. I admire his ability to get strangers to pose for his photos. . It is worthy of checking out. Or at least check out his blog humans of new york. It will give you a more positive view of the people in this city. His photos truly are of humans in New York. Ever talk to someone at a party and realize that they think they are doing you a favor by speaking to them because they think they are G-d's gift ? It used to make me feel a little bad until I realized that I don't like them as well and would rather not hang with them either. They think they are snubbig me ? Oh no. I reject the first. I mean really . I wonder what its like to be the parent of very intelligent kids. It must be quite a challenge, even a bit intimidating. I guess every parent wants intelligent kids, but when one can tell that their child is brighter than they are I bet it might be hard . It is a great honor to have such a challenge. Intelligent children deserve worthy parents who will guide them toward their potential while still allowing them to be children. I am very happy that the man who did not board the Malaysian flight 370 because his travel agent did not want him to fly on shabbos did not do so. That said I am also very upset about the disappearance of flight 370 and am not so happy with the publicizing of the story of the man who did not board the flight. I feel as though it is dancing on the fate of those who did board that plane. As I write this the plane is still missing. There were little children on that flight . These people have friends and families who are very distraught over what has happened. I myself am disturbed that this flight is still missing. To be fair, the media always interviews some blessed soul who fortuitously did not board a plane that crashed , etc, but there is also a time to be quiet about one's fortune in the face of another's misfortune. Of course those who have escaped harm's way should be very grateful , but perhaps their voice should not let us forget to have compassion for those who are grieving. As a kid my favorite part of Purim was shaking my grogger at the mention of Haman's name during megillah reading. As an adult it seemed uncool to shake a grogger .Instead people would stamp their feet at the mention of Haman's name. More time has passed and I have returned to using a grogger at the mention of Haman's name during megillah reading. It a lot easier than stamping my feet and much more fun. More kids shake groggers than adults but I feel the grogger shaking is keeping me young. It also helps me pay better attention during megillah reading. 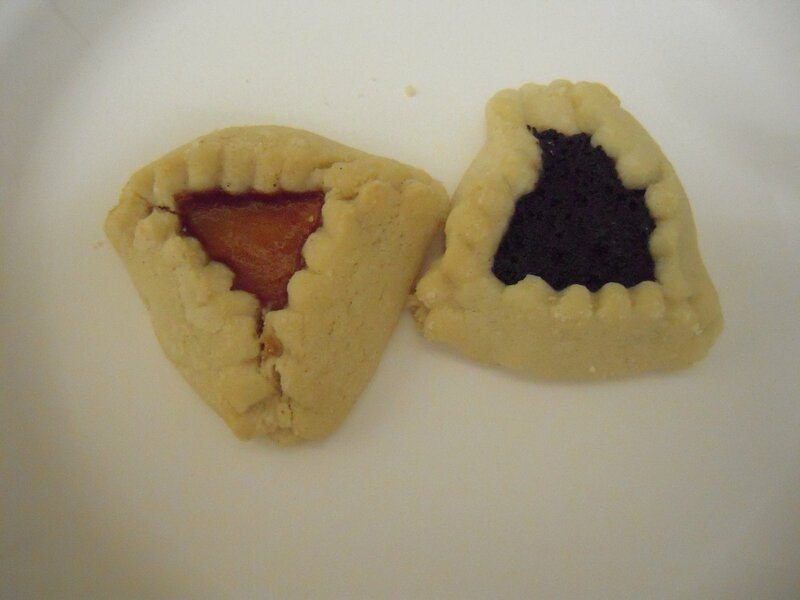 Wishing everything a wonderful Purim. I don't always appreciate Lipa's videos, but this one is cool. Enjoy! I just finished reading the book Kasher in the Rye, the true tale of a White Boy from Oakland who Became a Drug Addict , Criminal, a Mental Patient and then turned 16. by Moshe Kasher. What an amazing tale. Moshe Kasher is the hearing son of deaf parents who divorced when he was small and lived most of the year with his mother in Oakland, California and spent summers with his father in the Satmar, Seagate , Brooklyn. His father became more religious after divorcing Kasher's mother and ended up marrying a divorced, deaf , Satmar woman . Since she was deaf and divorced it was okay that Kasher's father was b.t. When Kasher was 12 years old he fell in with a bad crowd and became a drug addict. He was thrown out of too many schools to count. He was thrown out of rehab. He was in mental institutions. Throughout all of this his parents, especially his mother tried to get him help and keep him in school. After many failed attempts he finally becomes sober at sixteen. He managed to graduate high school, college , become a deaf interpreter and is now a stand up comic. What is amazing is that he is alive to tell the tale. I think that part of why he survived is due to how much his parents loved him and championed for him throughout his addictions. His mother was downright heroic. Kasher's father passed away when he was twenty. When he went to Seagate to sit Shiva they had ten men including his father's deaf best friend . There was a prominent frum Jewish singer at the Shiva who loudly said that the deaf guy does not count toward the minyan and that they needed one more man. Though true, perhaps there was a gentler way to announce this at the Shiva for a deaf man whose not as observant son was in attendance. Kasher was so upset by this that he mentioned this in his book for all to know. It is so important to be sensitive to someone sitting Shiva for a parent. They are already suffering , don't make it worse. I also found it interesting that someone who is a performer would go by the name Moshe. Though he neglected to mention this fun fact in his book, I found the answer in an online interview. Kasher's first name is Mark and his middle name is Moshe. His father had really wanted his first name to be Moshe, but his mother did not . After Kasher recovered from his addiction he wanted to make a clean slate with a new name and decided to go by Moshe. His father and brother always called him Moshe anyway. Though Kasher is not currently an Orthodox Jew he has an interesting take on Judaism not to be written off. This book is mostly is not about religion but about his descent and redemption from addiction. It is miraculous that he is alive . I think that this shows that no matter what one goes through it is possible to prevail and survive no matter how far gone one might be. Watch both and see which you like best. I think I like the one with the little kids is best, but they are both cute. When someone asks you out and you are not interested the best thing to do is say no thanks . Don't say you are dating someone . Don't make excuses. Just say no. A while ago a guy seven years younger than I am asked me out. I had zero interest in him. Silly me I thought that the age difference might be an issue for him so I told him my age. Big Mistake. He was still interested and now every time he sees me he asks me "What's seven years? What's seven years?" Crap. I'm not interested in him AND he knows how old I am. If only I had been honest and just said "No thanks , I am not interested" life would have been so much simpler. Purim at Pomegranate supermarket is kind of like a Purim wonderland. Its a bit over the top, more like X-mas over the top than any Chanukah display I have ever seen. I love it though. 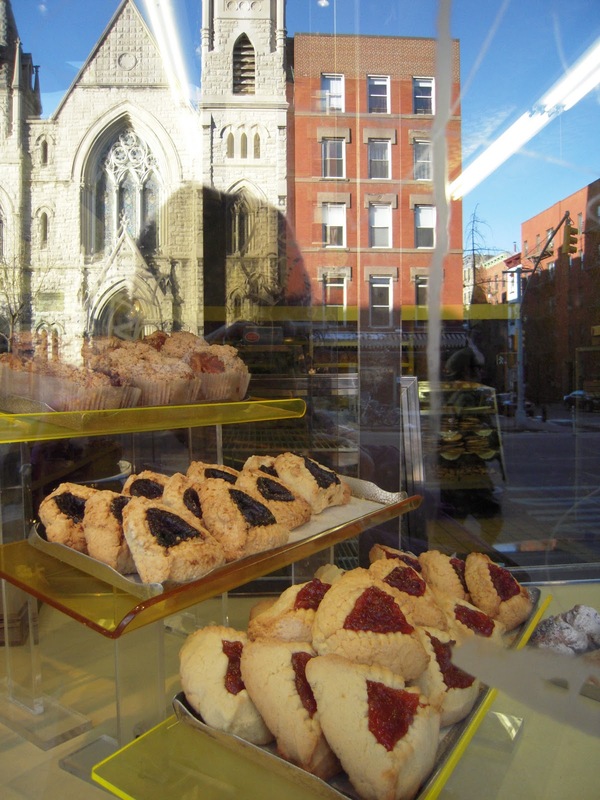 Purim is one of my favorite holidays and its great that there is a Jewish store that goes to town with the anticipation of Purim. Due to the cold and snowy weather lately I have been spending a lot of time on the train so I have photographed it. The second picture here is not on the train but outside of the train station . Its part of the train theme so I thought I could include it. Work is always a game of chess where one is always trying to choose the best strategies, It is also where I hone my drama skills. There is a new employee where I work. I took one look at her and knew I did not like her and then realized as much as I did not like her I knew that I had to pretend with all my might to fake friendliness toward her. Thank goodness that was my instinct. Turns out she is on the paranoid side and thinks people are talking about her when she leaves the room. I barely remember she works in my office when she is in a different room and she thinks everyone is talking about her when she leaves the room .Figures. I never think that anyone is talking about me when I am not in the room. When I walk into a room and people stop talking I just figure they are talking about something personal instead of about moi. But that's just me.If I actually heard my name mentioned I might think differently, but otherwise I'm oblivious. I just don't think that I am the most popular topic of discussion among my co-workers. Its winter and as usual there are the thermostat wars at work. Some people are always hot and others are always cold. Fortunately this year there are more people in the always hot camp than in the always cold camp so I am quite comfortable. Ironically the office is usually much cooler in the summer than it is in the winter. I think that for a lot of people feeling hot or cold is all psychological. If its winter people want it to be ultra warm inside and in the summer they think that it should be ice box cold.